It’s been a while since I’ve updated because… well… it’s been summer and we honestly haven’t done much the last several weeks due to vacations! However, we are scheduled to go into the studio tomorrow to record keyboards and accordion on two pieces, and the violin and clarinet parts on all three! Then, we’ll just need one more round of recording with my daughter, Hannah, singing additional back-up vocals and me finalizing my vocals. Then, we’ll do a final mix of those three before starting on the next set! 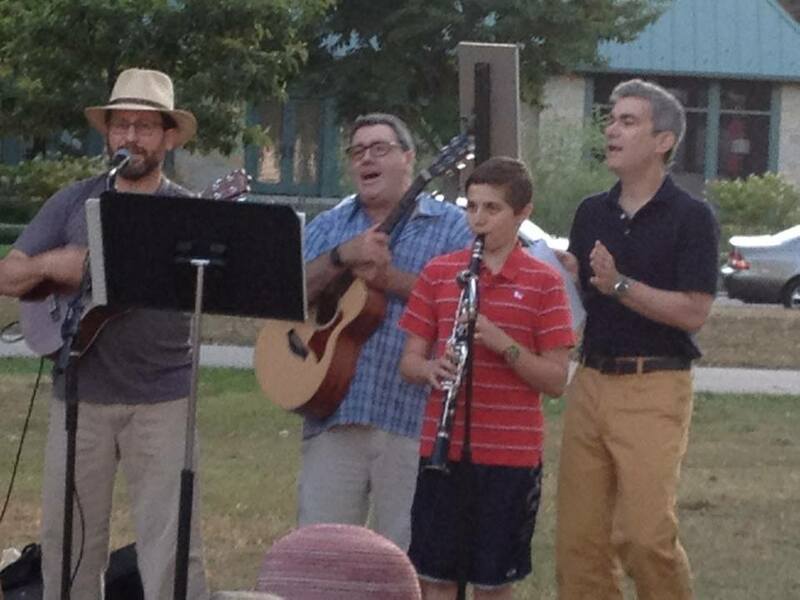 AND… in case you missed it, I shared Shabbat Sweet on an Evanston beach this past Friday, August 23 with my beloved rabbi, Brant Rosen, beloved cantor, Howard Friedland. And the incomparable Jonah Karsh on clarinet.